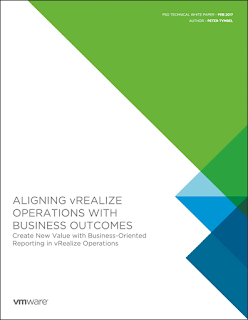 VMware just published my White Paper titled "Aligning vRealize Operations with Business Outcomes" on the Tech Papers site. Read it here. 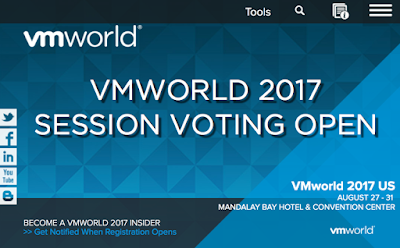 VMware vROps - A quick look at what's new in vROps 6.5? 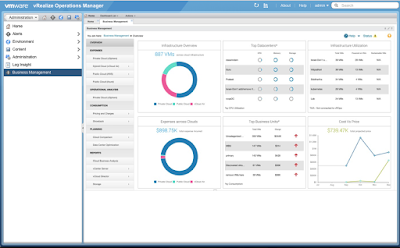 VMware announced the release of vRealize Operations Manager (vROps) 6.5. vROps is VMware's popular Cloud and Software Defined Datacenter (SDDC) monitoring and analytics solution. This update includes the usual usability improvements along with a 25% scalability improvement in the number of supported objects and metrics, as well as a new Extra Large node size. One major new feature includes integration with VMware vRealize Business Manager for Cloud (vRBC). The version also supports automated End-Point Operations (EPOps) Agent upgrades and many other advancements. In addition to that, the vROps 6.5 upgrade process is 40% faster than in the past, especially with large multi-node deployments.